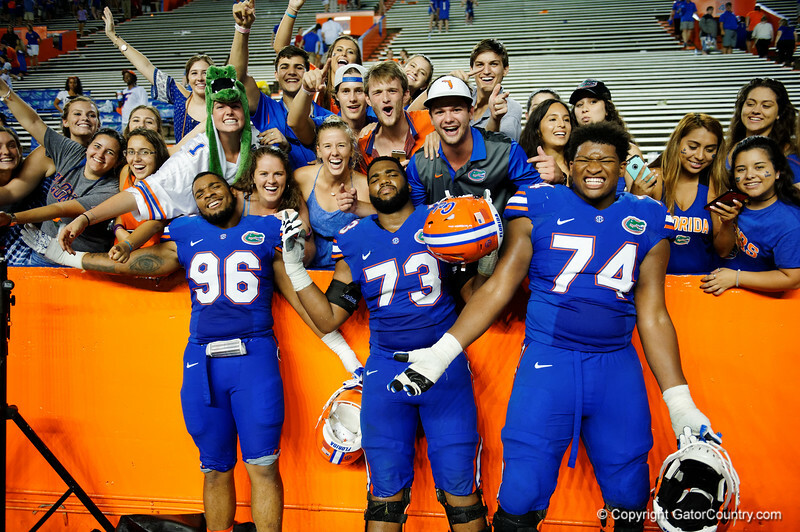 Florida Gators defensive lineman Cece Jefferson,Florida Gators offensive lineman Martez Ivey and Florida Gators offensive lineman Fred Johnson pose with thei fans while celebrating their win as the Florida Gators football team wins their opening game of the 2016 season 24-7 over UMASS at Ben Hill Griffin Stadium. September 3rd, 2016. Gator Country photo by David Bowie.